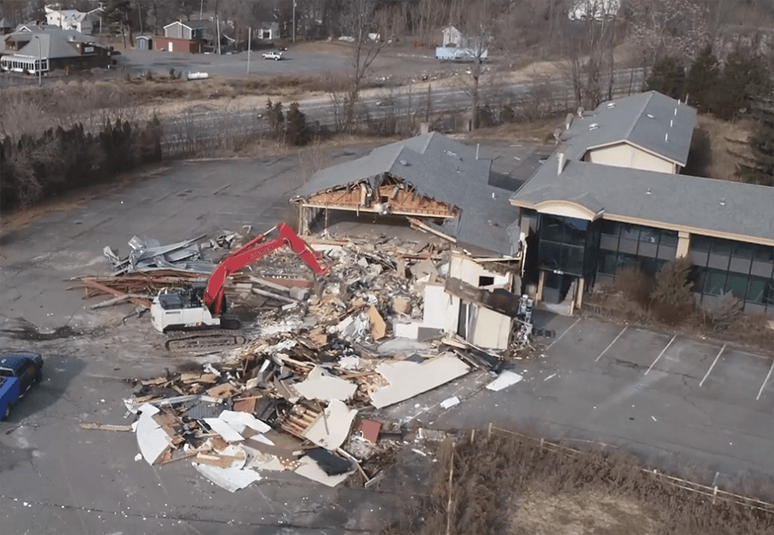 The latest snow may have covered the site of the former Quality Inn adjacent to NYS Thruway Exit 21, but the demolition and debris removal phase of the project has been nearly completed. The Greene County Economic Development Corporation and The Greene Industrial Development Association are working to attract a new property developer to bring hotel rooms, hospitality services and meeting/events space to the site. Interested Developers can contact the Greene County Economic Development team by email or phone at 518-719-3290, and the Greene IDA at 518-731-5500.